You were there, even if you weren’t. When LCD Soundsystem called it quits in 2011 with a pair of sold-out Madison Square Garden concerts, it was an ideal sendoff for the indie culture they’d mocked but also proudly represented. Emotional haircuts from across the country came to pay their respects. Arcade Fire showed up to sing background vocals; Aziz Ansari was seen crowd-surfing; high-low cultural sage Chuck Klosterman eventually narrated an award-winning documentary chronicling the whole occasion. Not since the ending of the Band had a North American music act said farewell on such a picture-perfect, well-curated note. Then, in 2016, after about a normal time in between albums, James Murphy announced LCD Soundsystem weren’t done yet. This despite the outgoing fanfare, which led to charges they were only in it for the money. “This isn’t a victory lap or anything, which wouldn’t be of much interest to us,” he clarified. “This is just the bus full of substitute teachers back from their coffee break with new music and the same weird gear … and rambling around trying to be louder than everyone else.” Over the next year, they toured to crowds both rapturous and unexpectedly small, dropped new songs at a snail’s crawl, and kept promising their fourth record was on its way. A cynic might’ve accused them of stalling for time. The ‘00s were long gone—what did one of its premier bands have to say about modern life? Thankfully, and thrillingly, they’ve moved on. American Dream is an older and greyer record, far removed from the waggish bon vivants who provided the life of the party. They’re working in a darker mood, playing with denser electronics and headier explorations of themes like mortality, friendship, and aging that have always played into their music. The promise of the scene has curdled; their friends are five and ten years off into their own lives; New York, once a muse, is just over-priced. They wanted a hit; what they got was another vape shop. 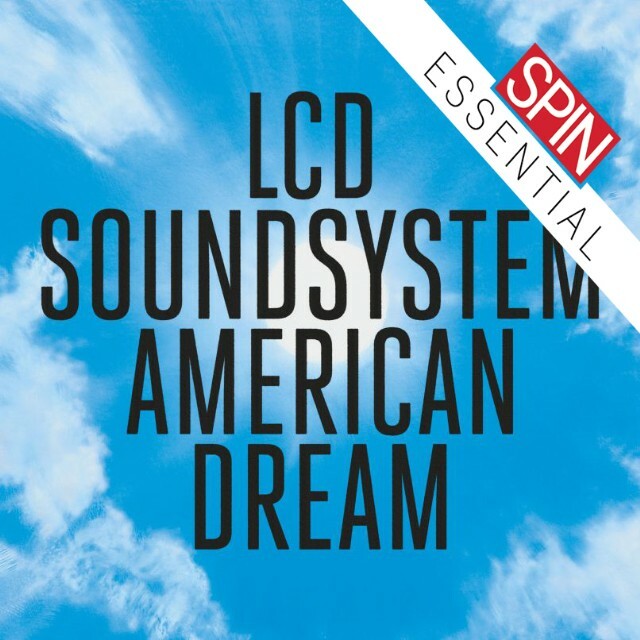 LCD Soundsystem were one of the few bands of their milieu who might have been legitimately called a “hipster band.” Consider the hipster as he probably was, rather than the stereotype invented by the saltiest people alive: a sarcastic person of vaguely justifiable fashion wielding their taste like a cudgel, while also secretly pining for the release that comes with just being honest. LCD’s songs often ping-ponged between these spaces of wry knowingness and pelagic grief, staking their claim to being more interesting than your average Midwesterner while reminding you that aesthetic and intellectual superiority don’t necessarily make you happier. Cities are filled with people like these, and it’s no surprise that LCD found their biggest fan bases in New York, Los Angeles, and in places where people secretly want to live in New York or Los Angeles. But where American Dream draws its energy is not from this urban restlessness, but from the end-of-the-night denouement, when the glitz and glamour have ebbed and left a drunken guy eating a burrito on his couch. “You’re having a bad dream,” Murphy wails on opener “oh baby,” as synthesizers throb and gleam over a methodical beat that references Suicide’s “Dream Baby Dream.” “You were having a bad time there in your home.” Once the band might’ve built up the tempo, or paced toward some kind of sonic climax, but here the song simply swells with sadness over six minutes. The record’s centerpiece is the astonishing “how do you sleep?,” which functions as a sonic B-side to “Dance Yrself Clean” and features Murphy’s most incantatory singing. The song inhabits a purgatory found at the end of a very meaningless club night, with Murphy addressing a former friend who got him addicted to the bacchanalia. The title references John Lennon’s legendary diss track against Paul McCartney, and here is likely directed at estranged DFA co-founder Tim Goldsworthy, who aired him out relentlessly in recent NYC rock history Meet Me in the Bathroom. “I must admit I miss the laughing,” he sings, “but not so much you,” a poisonous kiss-off that could only be directed at someone you’d loved very much before they hurt you. As he stares into some dark void, heavy synthesizers beam in from very far away, crashing with the percussion like waves against the shore he sings about standing on. Well, Murphy was never less than a man with taste refined enough to tell what sucked, and even if they’re no longer trying to be cool, they’re not embarrassing. I admit I was underwhelmed by the first stirrings of the reunion. I thought the new songs lacked a certain energy; I saw them perform live, and worried they were already going through the motions. American Dream is good enough to dispel all of those concerns. The passing of their imperial phase has left them like any formerly Teflon hipster: honest, and ready to move on from whatever they found at the heart of the party. Admitting for real that they’d lost their edge is one of the most interesting things they could’ve done, and hopefully they keep making more records after this one. At the very least, they’re smart enough not to throw another Madison Square Garden party.